Thread comes in different weights. 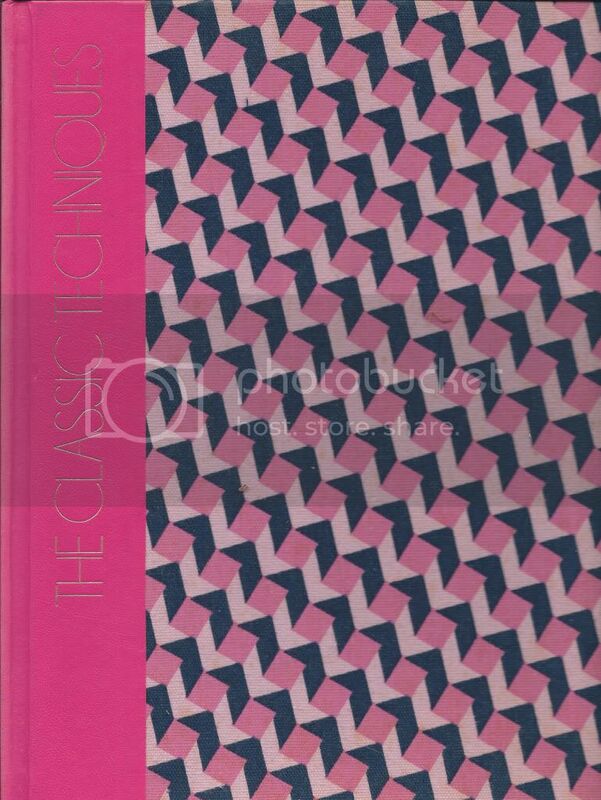 When this book was written, mercurized cotton was the most common thread found in stores and used to sew with. However, I recently went to Joanne's and found that Polyester Thread is most common now with mercurized cotton sold as more of a specialty thread. This may make sense for the store -- most of their fabric are made up of polyester. 1. Use cotton thread to sew cotton, linen, rayon, and cotton synthetic blends. 2. 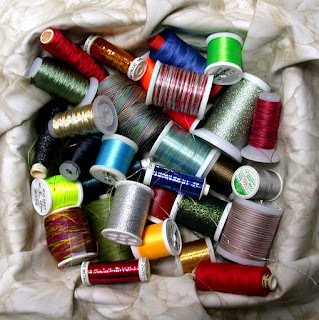 Use silk thread (a type called A) for silk, wool, wool-silk blends and synthetics (leaves no lint!). 3. Use polyester thread for knits and silk buttonhole twist for buttons and buttonholes. Today most of us use polyester all purpose thread with most of our everyday kinds of clothing. Some threads are a combination of a cotton core with poly around it (Dual Duty). Needle sizes to use: Size 7 or 8 for polyester and mercurized thread; Sizes 8 or 9 for silk thread and Size 4 or 5 for buttonhole twist. To begin to sew with a needle and thread, first you must trim the thread at a 45 degree angle for a sharp edge to thread the needle. Threading a needle can be tricky, you may need to tilt the needle so you can see the eye and poke the thread through it. There are needle threaders available on the market for those with failing vision or who are just impatient with the process. The important thing is the needle must be threaded. Easy thread or Calyx needles are available as well but they are best used for finishing a line of stitching. Sometimes waxing the thread can help to stiffen it for threading. To make a knot at the end of the thread (not always needed) Take the thread at the end, loop it around your index finger a couple of times and then push the loop off and with index finger and thumb draw it down the thread into a knot.